One of my newest partnerships is with Discover Los Angeles, the tourism site for the city. They have invited me to write articles on historic locations for them, which will seem familiar to many of you who enjoy my Out & About series on GlamAmor. 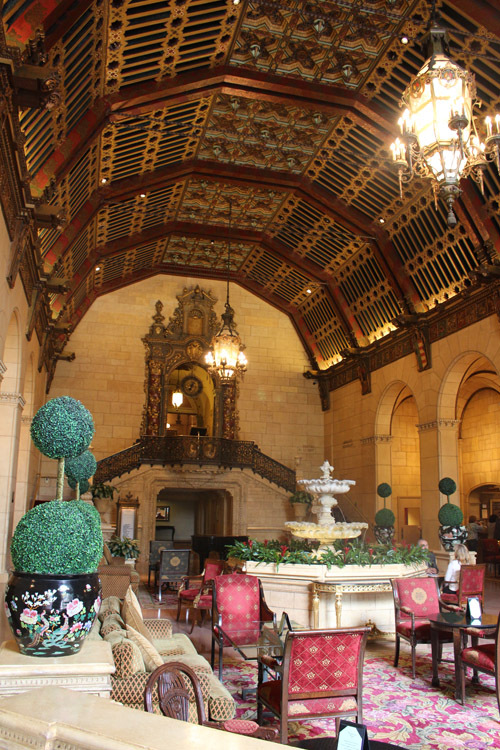 The first of my visits for them was at the Biltmore Hotel in downtown Los Angeles, and you can see that article through the link above or by continuing to read below. I hope you enjoy this visit to the Biltmore! It's hard to remember that just past the turn of the century, Los Angeles was a small city known more for its oil reserves, orange groves, and great expanses of land than anything else. There was little here outside incredible year-round weather, and that is what lured the first film production companies away from the East Coast. Initially, they came on a part-time basis to avoid the cold winter months, but soon they came to stay. L.A. quickly became the center of the industry and experienced a population boom. Even so, it was still very young in the eyes of the rest of the country. 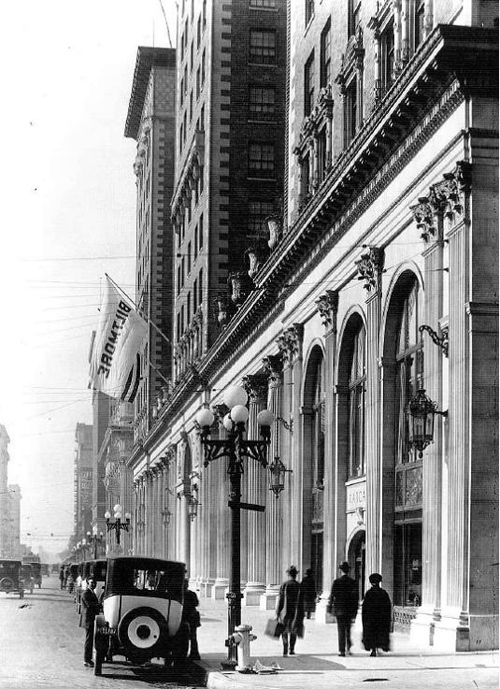 At a time when this area was still evolving and finding its identity, the arrival of the opulent Biltmore Hotel in 1923 was a "statement to the rest of the world that Los Angeles had arrived as an American metropolis." Its impact was undeniable and its grandeur would become an integral part of the history of our city. 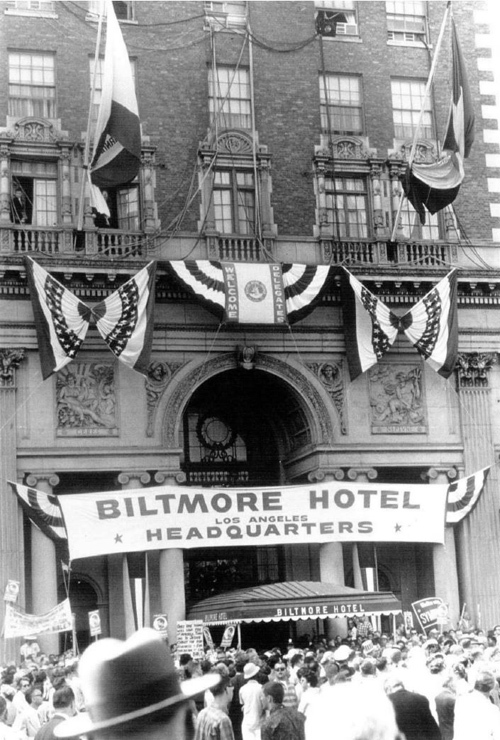 The Biltmore opened its doors on October 1, 1923, and celebrations began almost immediately on a scale that few have ever seen. The following evening, 3,000 people poured into the hotel for a party that included Hollywood luminaries like studio head Jack Warner, Cecil B. DeMille, Mary Pickford, and then starlet Myrna Loy. It was such an elaborate affair that guests were served a seven-course dinner and serenaded by seven orchestras across the hotel's Galleria and glittering ballrooms. And, with a slightly surreal touch that seems straight out of the movies, the symphony of music was accented by singing canaries. This was far from the only elegant event at the Biltmore. 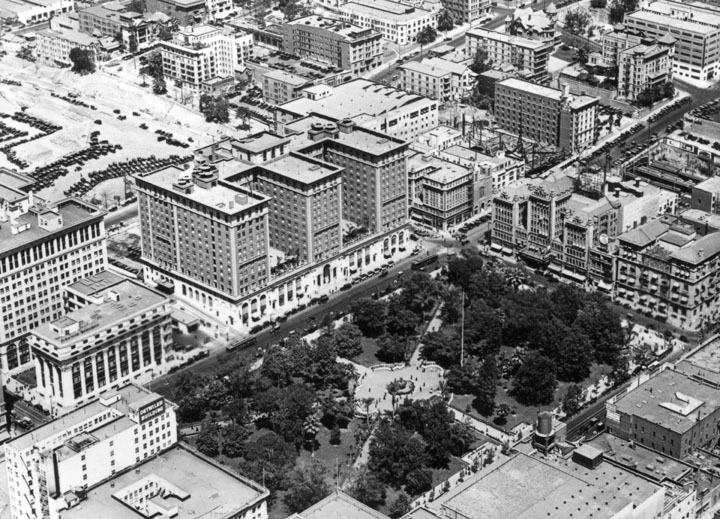 At this point in the city's history, downtown Los Angeles was the center of its entertainment with the theater district still thriving along Broadway. Much of the social scene of the 1920s was at the Biltmore, including the era's most glamorous stars--from Gloria Swanson to Theda Bara. 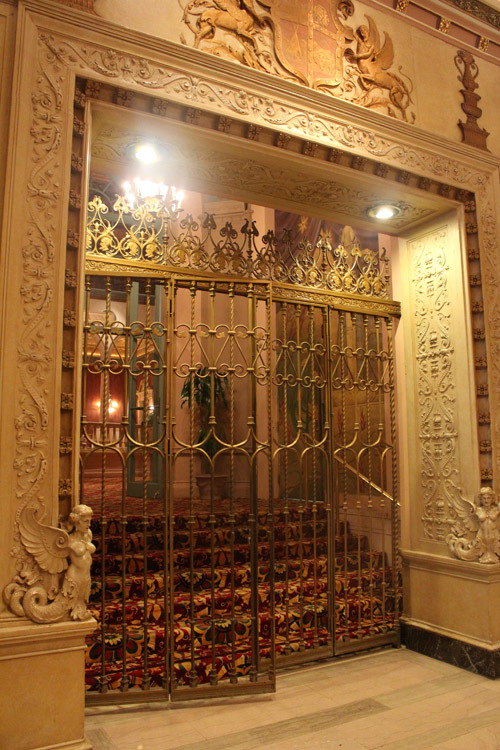 Even in this time of Prohibition, the hotel's Gold Room acted as a speakeasy complete with a hidden door to help revelers avoid the police (and often press and paparazzi) and escape onto Olive Street. 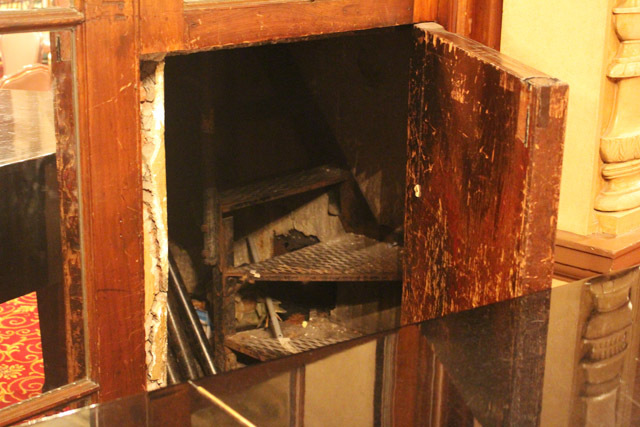 The door is still there--connecting to a room that has a wooden counter top, coat hooks, and bathroom--though the exit on Olive has been sealed in brick. 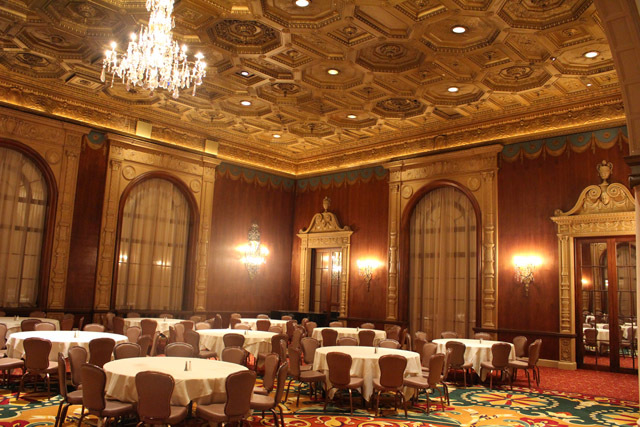 The Presidential Suite--a spacious room that has seen six U. S. presidents, royalty, and notorious gangsters like Bugsy Siegel and Al Capone--still has a recessed spot to hide liquor, which remained illegal in most of L.A. until 1933. From the beginning, the Biltmore was a backdrop for Hollywood, in more ways than one, and the hotel is heavily intertwined with that history. Within its first year, it was already a shooting location for DeMille's 1924 film Triumph. It would continue to offer itself for scenes in film, particularly those trying to capture the polish of the past, such as Ocean's 11 (1960), The Sting (1973), Chinatown (1974), and Bugsy (1991) as well as television's Mad Men. 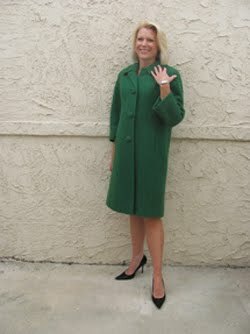 Because of its elegance, it was the favorite place to meet and be merry in the 1920s and 1930s. Whether it was stars simply going out on the town or studios throwing a big bash, the Biltmore was the place to be. 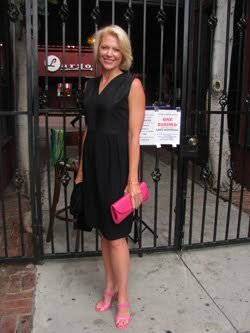 Even the party for the opening of Grauman's Chinese Theatre, located all the way across town in Hollywood, was held here. In fact, many of the most important moments of Hollywood history have happened at the Biltmore. 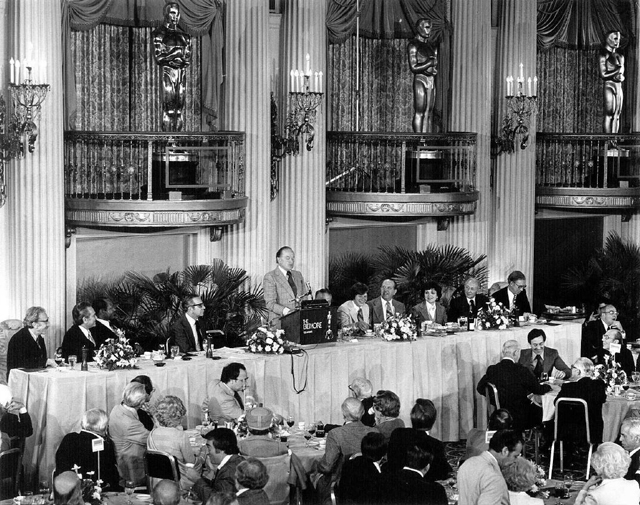 In 1927, the Academy of Motion Picture Arts and Sciences (AMPAS) was born at a gathering in the hotel's Crystal Ballroom. 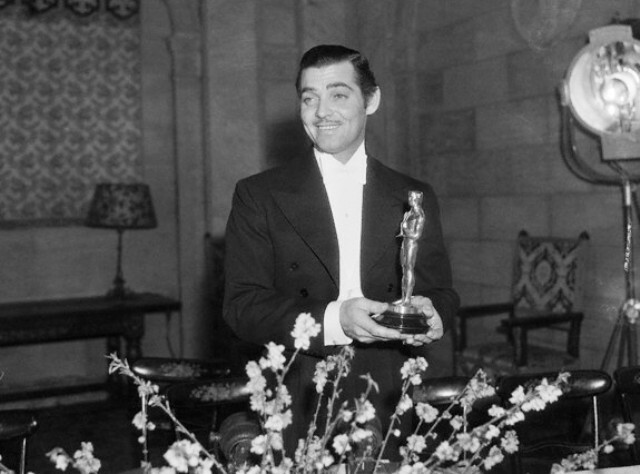 Legend has it that MGM's great production designer Cedric Gibbons even sketched the first Oscar statue on one of the hotel's linen napkins. It only seems appropriate then that the actual Oscar ceremony would be held here. 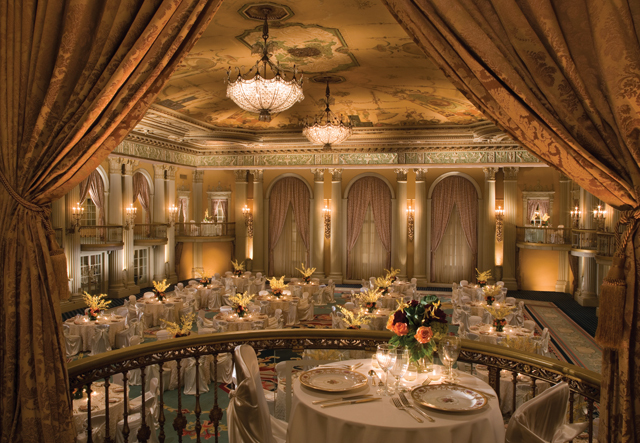 After a couple years at the Roosevelt (1929) and Ambassador (1930) hotels, the awards came to the Biltmore. It took place in the Biltmore Bowl, a ballroom that was added to the original hotel in 1928 and its grandest--approximately a third wider and longer than the others and could hold some 1,000 guests. 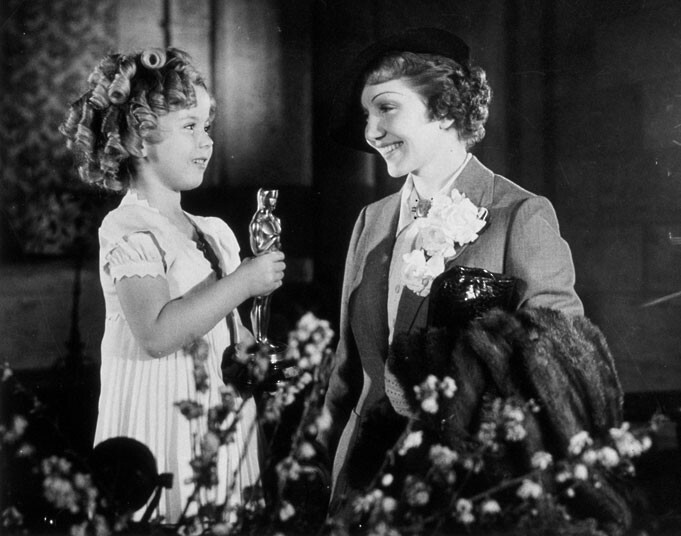 The Oscars would return in 1935-1939 as well as 1941-1942. As a result, the number of stars who stepped through its doors is staggering. Clark Gable, Spencer Tracy, Jimmy Stewart, and Gary Cooper all won their Oscars here. 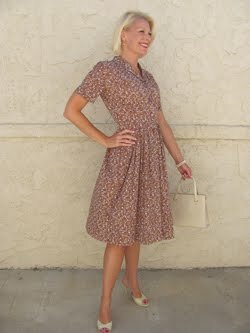 So did Bette Davis, Joan Fontaine, Ginger Rogers, and Claudette Colbert. 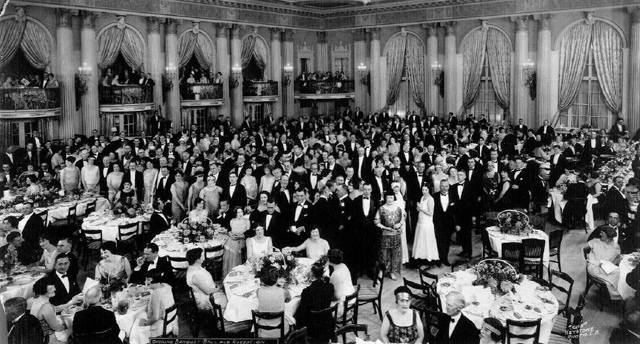 The Biltmore is where It Happened One Night (1934) set a record by sweeping the Oscars' top honors--Best Picture, Best Director, Best Screenplay, Best Actor, and Best Actress. Claudette was so convinced she wouldn't win that she went to Union Station to board a train and had to be brought back to the Biltmore to accept her award. These are just some of the stories from those glory days. 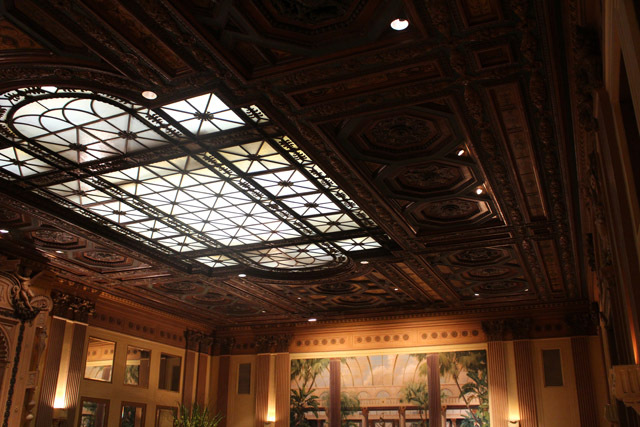 For anyone who loves film of the 1920s and 1930s, the Biltmore is sacred ground. 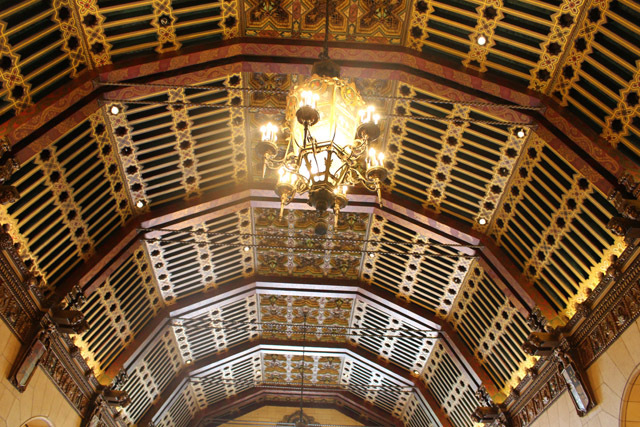 Once you see the Biltmore, you will understand why it was--and still is--so revered. It is a work of art in and of itself. From the very beginning, the founder of the hotel, John McEntee Bowman, wanted the best of the best. He already had great success with hotels in New York and exotic locales like Cuba, and saw the future of Los Angeles. 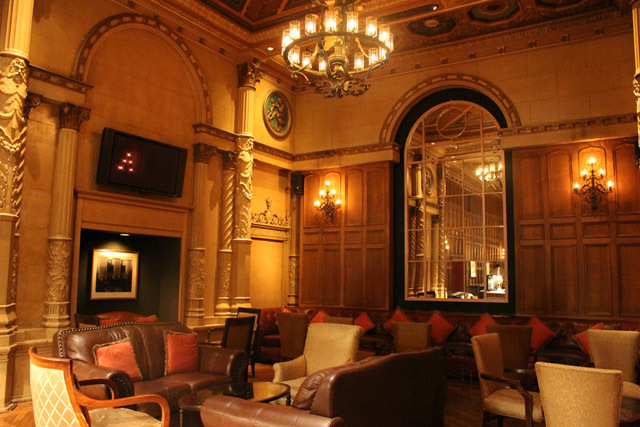 He hired the architecture firm of Schultze & Weaver, who also designed the exclusive Jonathan Club in downtown Los Angeles, to build Bowman's masterpiece. 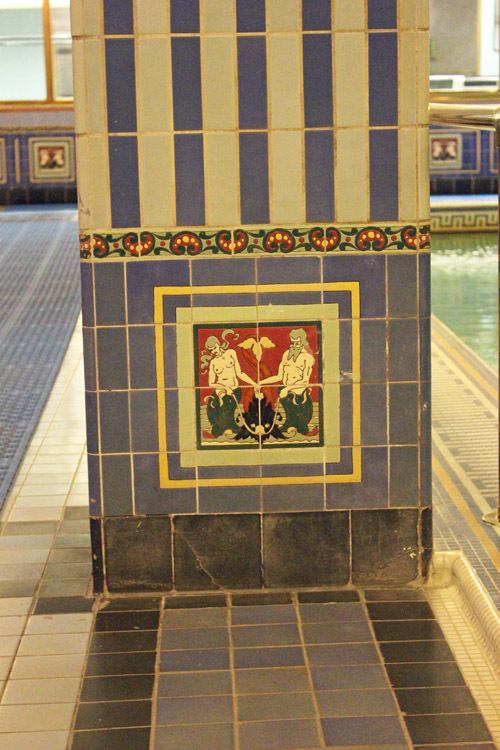 And the man responsible for the decorative artistry inside the hotel is Italian genius Giovanni Battista Smeraldi. Smeraldi was renowned for his work on two of the most famous buildings in the world--the White House and the Vatican--when he was commissioned to work on the Biltmore in Los Angeles. 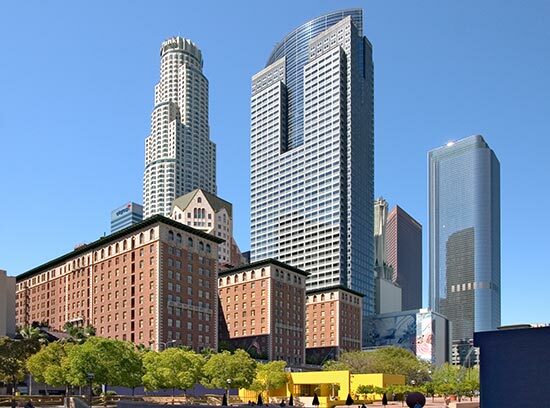 With inspiration from the Italian and Spanish Renaissance everywhere you look, the hotel's three towers stretch above the ballrooms below to give its guests a view of the Pershing Square park across the street. 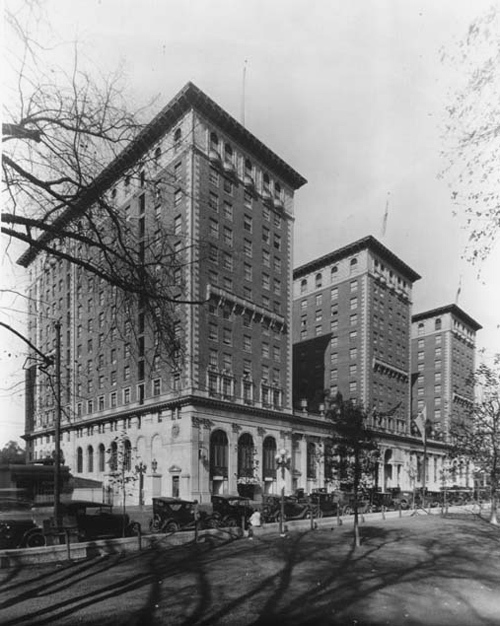 With over 1,000 rooms when it was built, and each with its own bathroom (pure luxury at the time), it was the "largest and grandest" hotel west of Chicago. 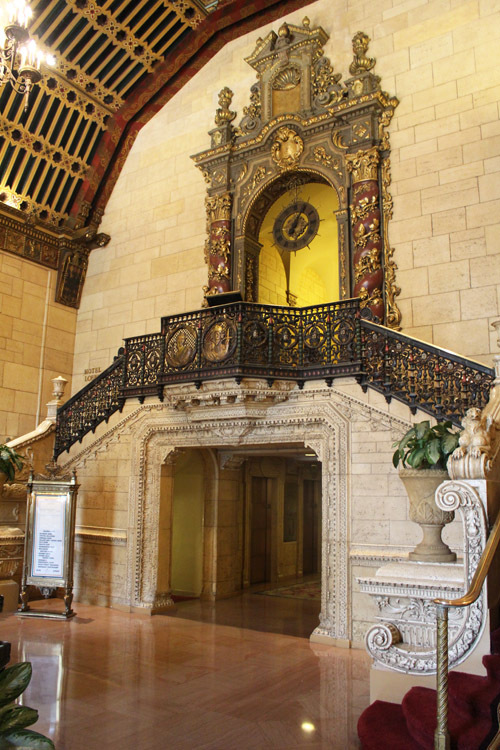 The original lobby--now called the Rendevous Court--reminds you of a Spanish cathedral. Three stories high with travertine walls and arches that intersect with a vaulted ceiling. Two bronze light fixtures imported from Italy hang in between the ceiling's ribs. 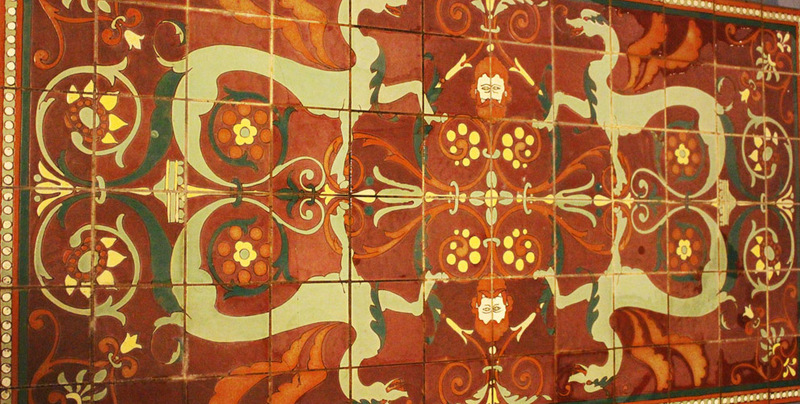 There are elaborate carvings wherever you look, and the room is finished with paint that is accented in 24-karat gold. 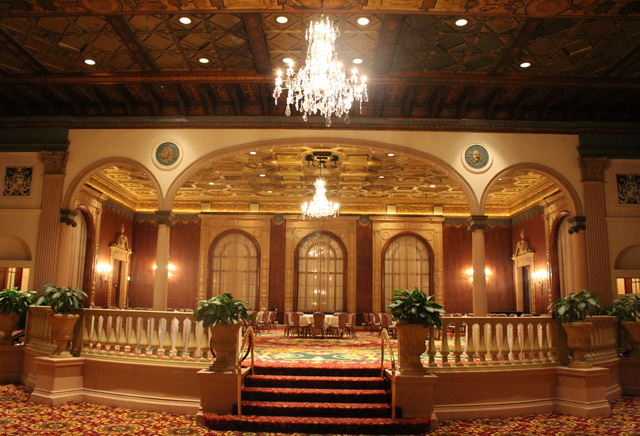 It's hard not to think of all the people who walked through this grand room and swept up its double staircase to reach the rest of the hotel. This kind of welcome makes you understand why the Biltmore was known as the "Host of the Coast." Past the stairs and elevators, one first enters the Galleria...a 350 foot long hall that is as spectacular as the grand rooms it connects. 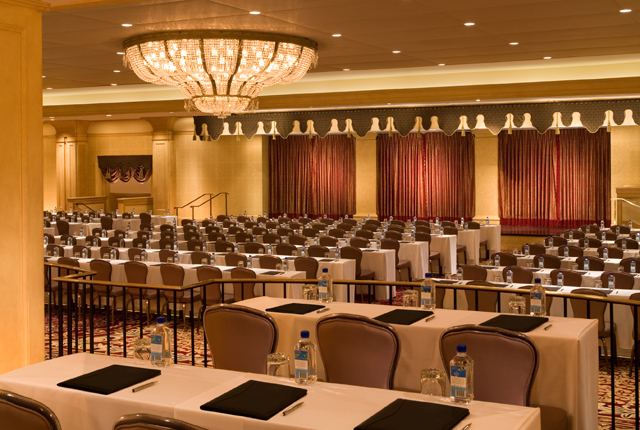 The best known of these rooms is the Crystal Ballroom. 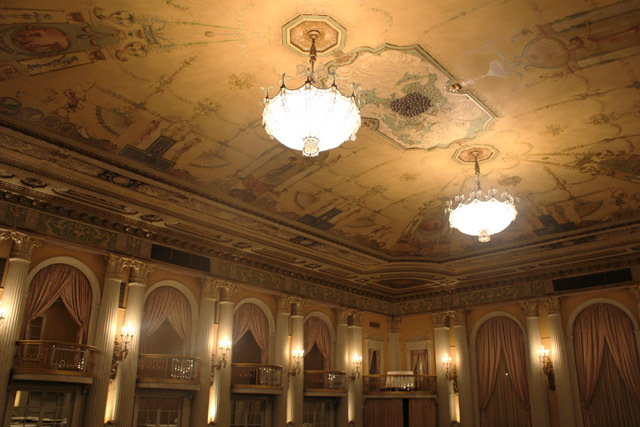 It was simply called "The Ballroom" when it was built, then changed to the "Blue Room" before being named after its two signature Austrian crystal chandeliers. They're so delicate that staff climb up to clean them (rather than having them drop down) and then must do so in sections "like an onion." The lights, which give the room a soft glow, are at the center of a concave-domed ceiling covered in a single canvas hand-painted by Smeraldi. This is only the beginning of the grandeur. All around the room, cream columns stand between balconies and french doors. Three great windows stand at the top of the room and almost reach the ceiling. 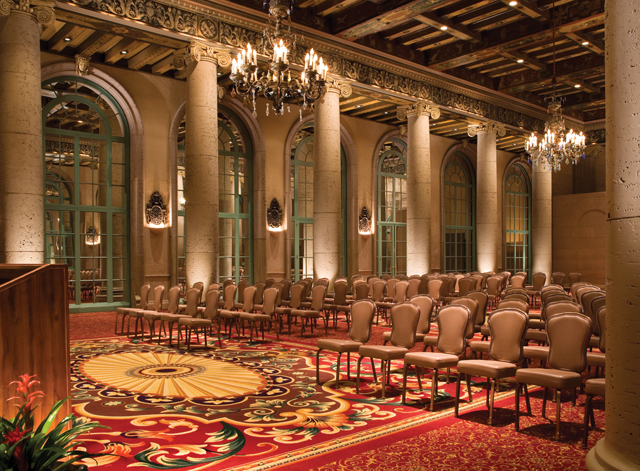 It can seat 700 people, but the Biltmore's Tiffany Room is right next door and can open up even more space for the main Ballroom. The Emerald Room is very different and reminds one of a hunting lodge. 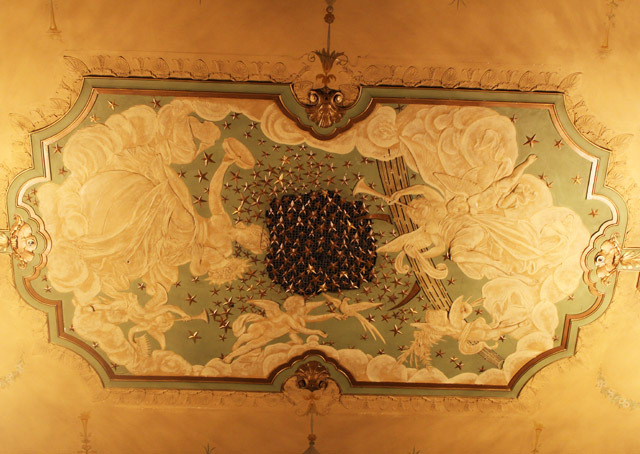 Its ceiling looks like it is built of beams of dark wood (apparently almost everything is made of plaster) and it's painted with many animal motifs, including different dogs in between each of the columns that seems something of a wink from Smeraldi. Like the Crystal, its name evolved over the years. 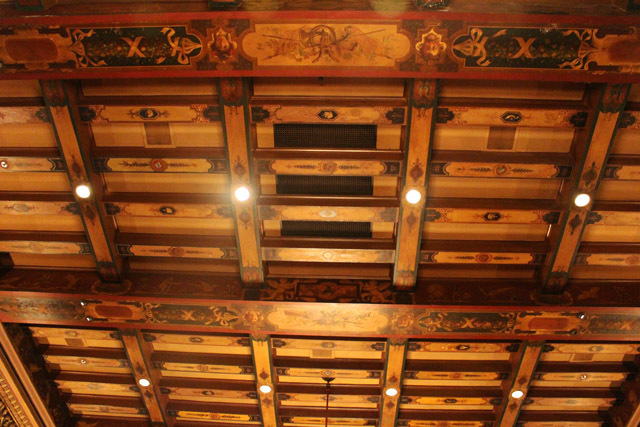 It was once used as the main "Dining Room" for the Biltmore and known simply as that, and then later renamed the "Renaissance Room" before coming to its current moniker. 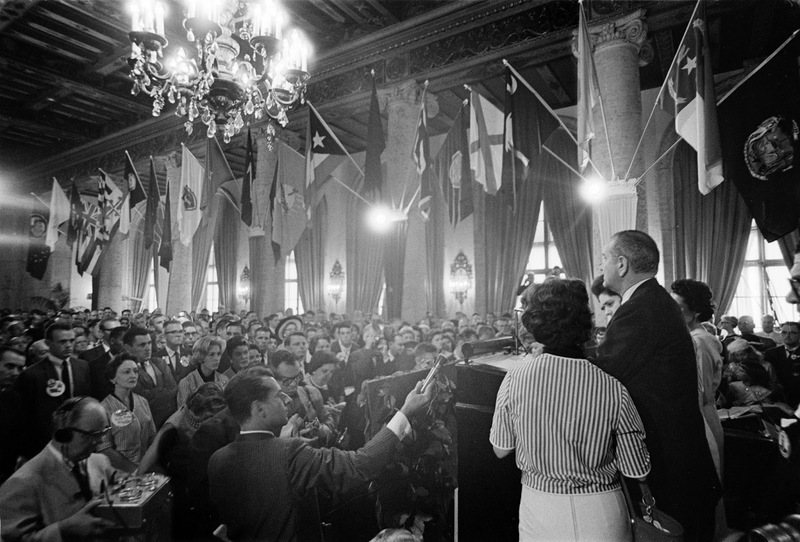 One of the Emerald Room's claims to fame is that it was Lyndon B. Johnson's war room during the 1960 Democratic National Convention that was held at the hotel. 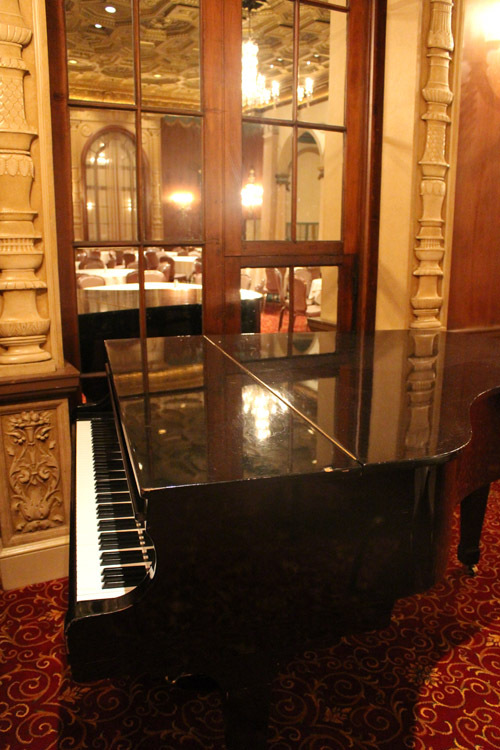 Likewise, the Music Room--now the working lobby of the hotel--was the war room for Johnson's opponent and the man who would eventually become President, John F. Kennedy. One can imagine pages running frantically between the campaigns, including Adlai Stevenson in the hotel's Gold Room, during that historic convention. 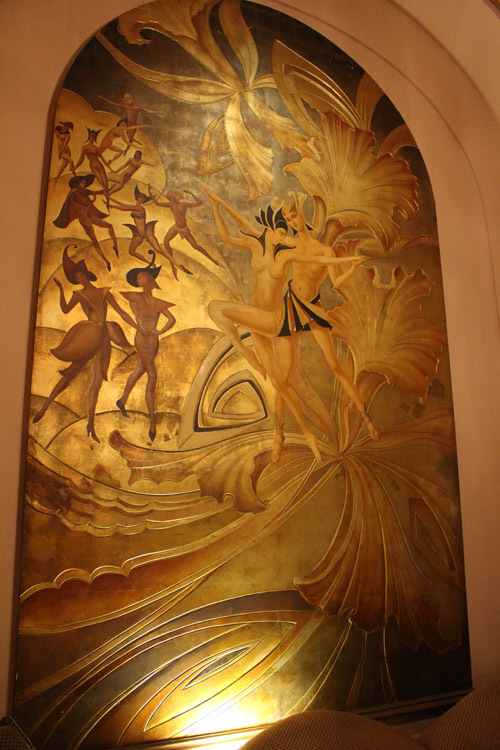 The Gold Room has another connection to a very important player in the Biltmore's 90+ year history--one of its owners, the colorful Baron Long. Long was a man who grew from a "small-time bad boy to a major player in night clubs, hotels, and horse racing." 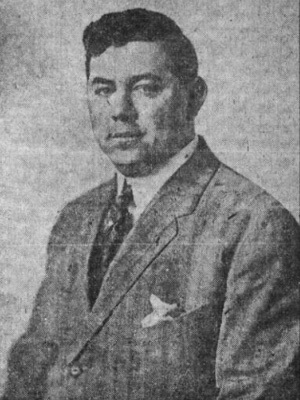 He was a partner in Agua Caliente, a luxury gaming resort in Tijuana where the elite went to stay and play without limits during the era of Prohibition. This is where a young Margarita Cansino--later known to the world as Rita Hayworth--was first discovered while dancing there with her father. 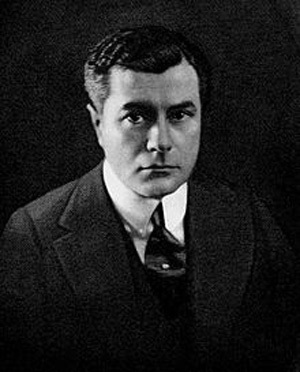 Many from Hollywood were frequent guests of Agua Caliente including Louis B. Mayer, Clark Gable, Jean Harlow, Charlie Chaplin, and Gloria Swanson. These same people also partied closer to home at the Vernon Country Club, a successful dive owned by Long in the industrial city five miles south of L.A.; Vernon was one of the few "wet" areas during Prohibition. 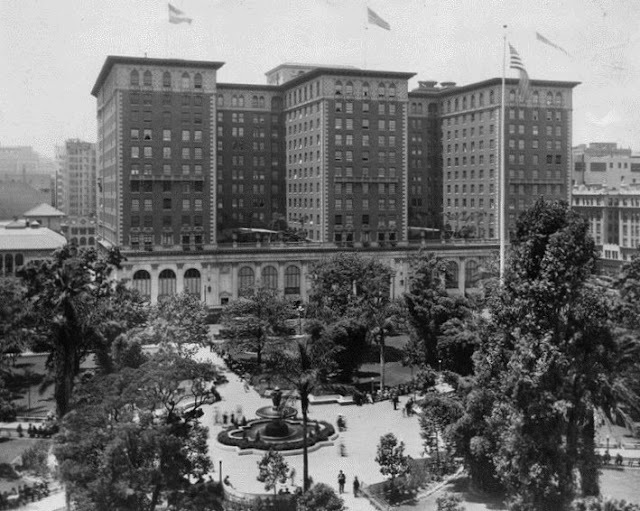 But in 1933, once the country was free to drink again, Long decided to buy the Biltmore and bring his party to downtown Los Angeles. 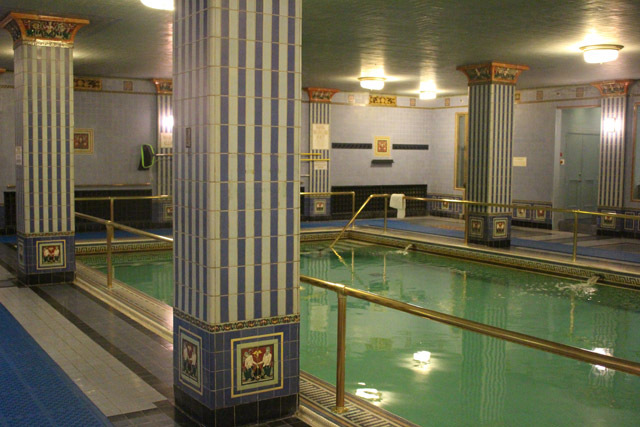 He even added hints of Agua Caliente in the Biltmore. 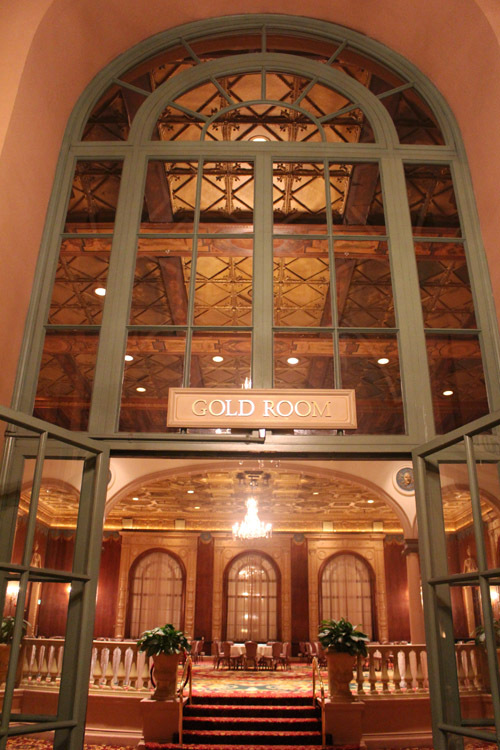 What was once known as the "Palm Room" was redecorated and renamed after the room at his Mexican gaming resort where million dollar bets were placed--the Gold Room. 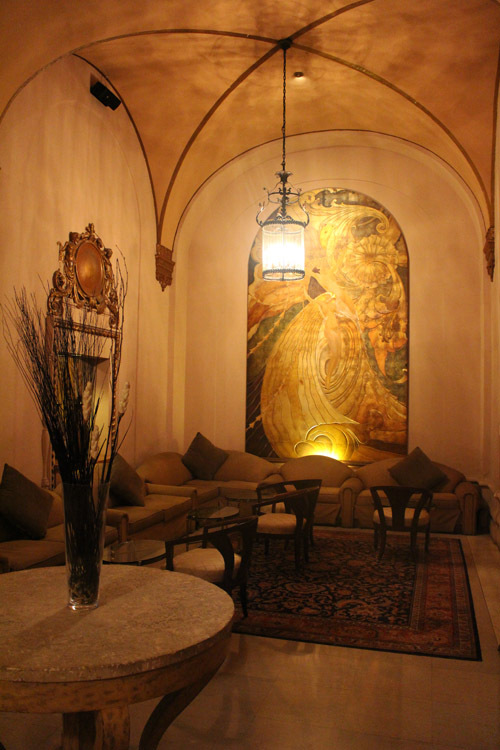 And so the Biltmore's Gold Room was born and quickly became the premiere place for drinks in the evening. 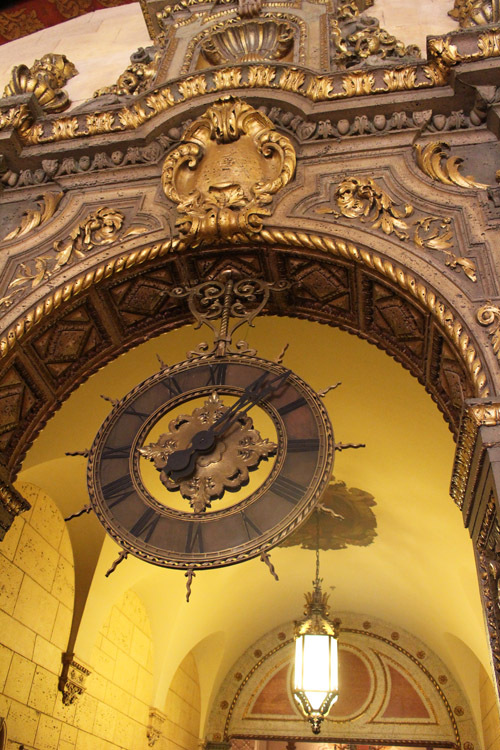 You feel every bit of this history as you walk through the hotel and it still blows you away with its opulence. 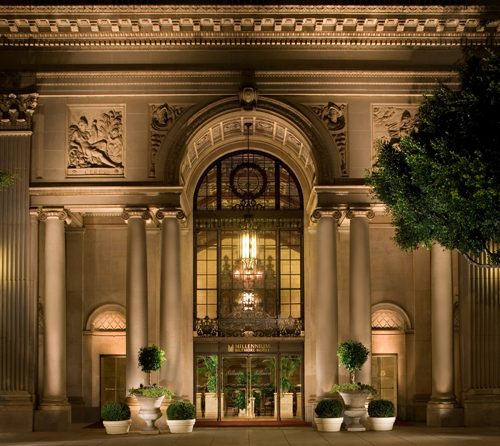 It was described as "luxury heaped upon luxury" by the Los Angeles Times when it was built and none of that has changed. 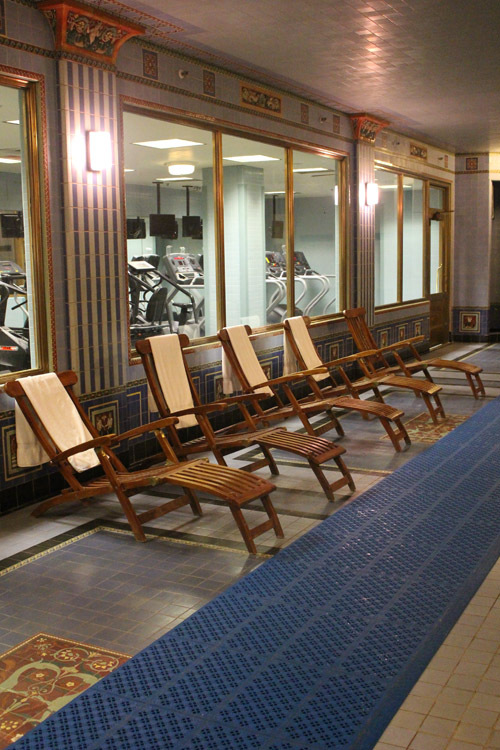 It seems like a dream to stay there, especially with its original indoor pool and steam room, and will be even more so when room renovations are completed next year. 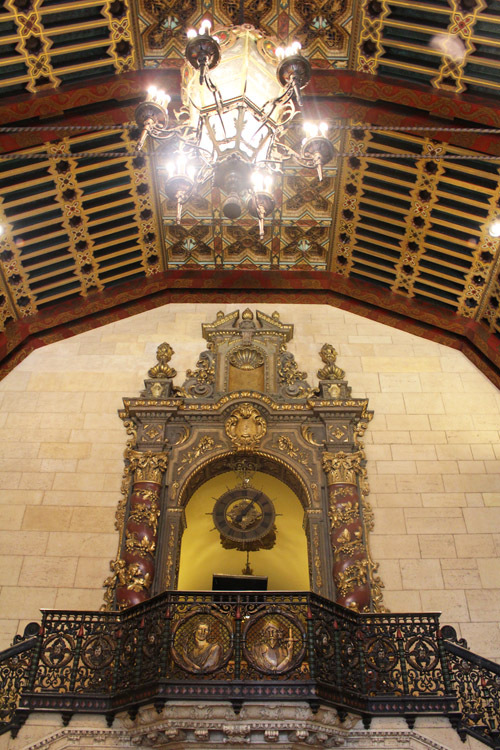 There has been much renovation and restoration in Downtown Los Angeles in recent years, and as a result it has become a hot spot once again. 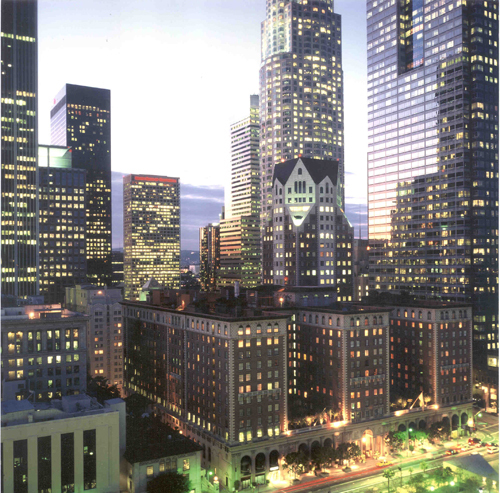 Because the Biltmore is located near so many cultural attractions--such the Walt Disney Concert Hall, the Ahmanson Theater, and Museum of Contemporary Art (MOCA)--it continues to be a popular destination. Even if you don't check in, you must still make a visit. There are two wonderful restaurants in which to dine--Smeraldi's and Bugis Street Brasserie--as well as the Gallery Bar and Cognac Room for a sophisticated evening of cocktails. For a lovely afternoon, the traditional tea in the Rendevous Court is well known and has become so popular that other hotels have scrambled to start their own. 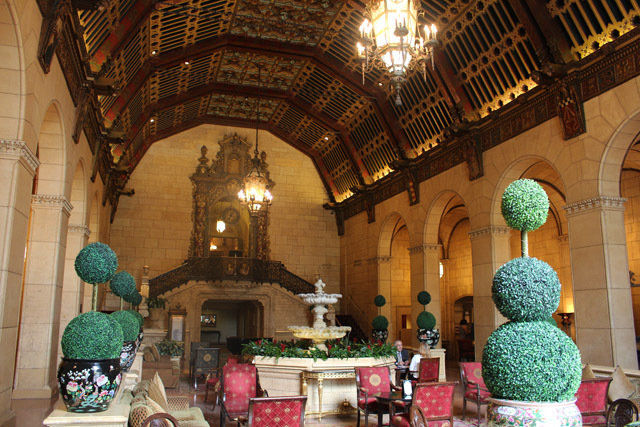 And if you'd like to take a historic tour of the Biltmore, the Los Angeles Conservancy offers one at 2 pm on Sundays--click the link to make your reservation. 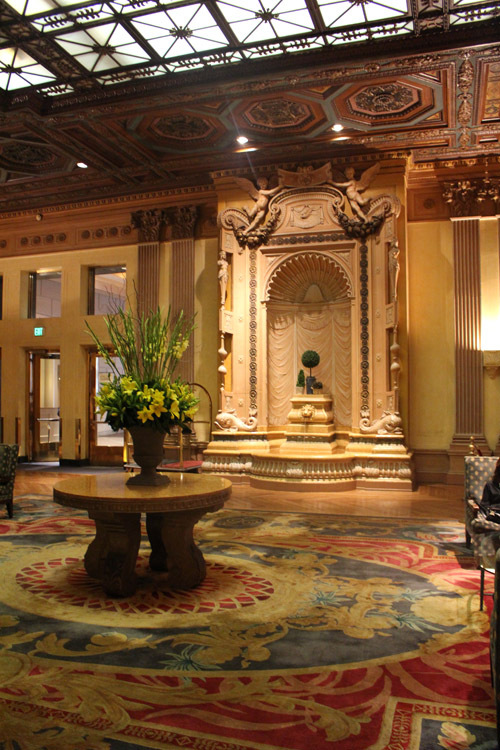 The hotel is such a landmark of Los Angeles, it was declared a historic monument in 1969. There's so much to love in its history and you can channel so many eras within its walls. The 1920s and 1930s saw the start of a glamorous relationship with Hollywood--both on and off screen--that has continued to this day. That same period saw the romanticism of Prohibition and the Jazz Age. 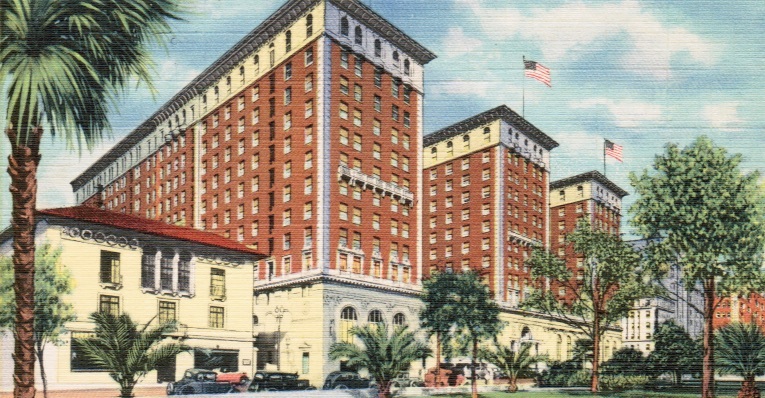 The 1940s saw the hotel playing a patriotic role when it housed servicemen during World War II. 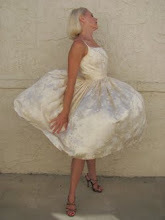 The 1950s brought guests back who wanted to celebrate in style. And the following decade saw the beginning of Camelot at the hotel with John F. Kennedy and the 1960 Democratic National Convention along with the idealism of a new age. That aspirational feeling has not left. 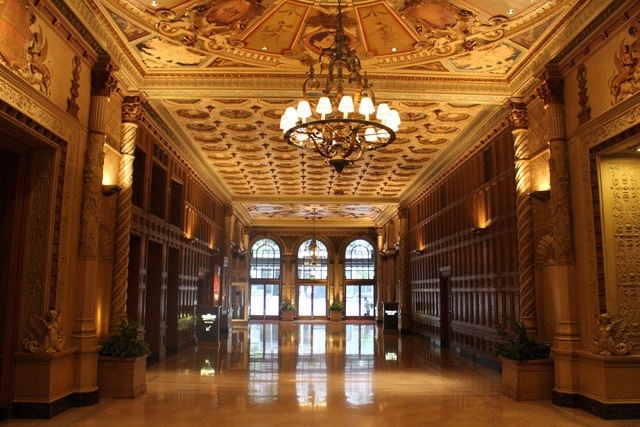 The Biltmore Hotel is an architectural masterpiece that offers guests and visitors elegance in our modern times. 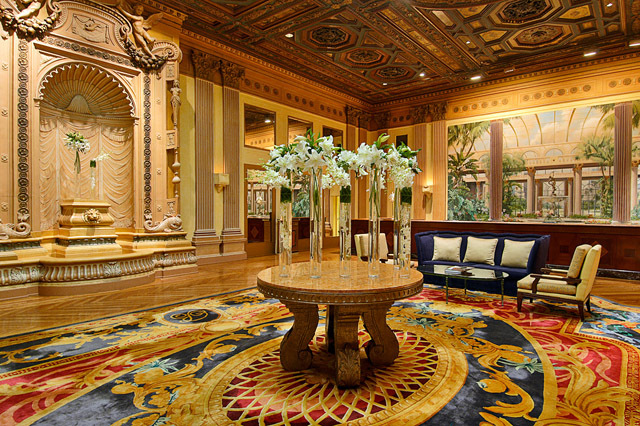 Welcome to the Millennium Biltmore Hotel. Beyette, Beverly. The Biltmore: 75 Years. Los Angeles Times. 4 October 1998. Evans, Leslie. On the Track of the Elusive Baron Long. 1 June 2012. Web. 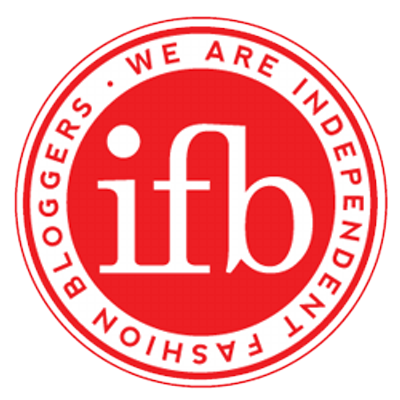 http://boryanabooks.com/?p=1526 15 May 2015. Vanderwood, Paul J. Satan's Playground: Mobsters and Movie Stars at American's Greatest Gaming Resort. Durham: Duke University Press Books, 2009. Whew!! What luxury and what grandeur! I'm so thrilled that you've been given an "all-access pass" and took us along on this tour, Kimberly! It's a spectacular place and now, I want to have a nice drink there and soak in the beauty! Thank GOODNESS this is still here to remind us of the glory days then and yet to come. Thanks again for this insider look--your deep research and clear admiration are in every well-crafted word. GREAT job and they're lucky to have you! This appears to be an utterly fantastic place. As I was scrolling through your (fab) photos, I was trying to choose a favourite room...and I couldn't! It all looks marvelous. I love the gold room and the enclave, and I especially love the secret door with the hidden speakeasy! So much history and elegance. You're really good at presenting these virtual tours. This was wonderful. Thank you. 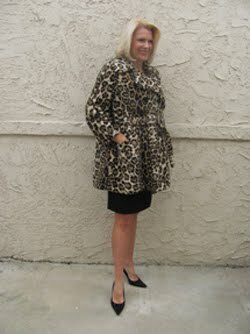 A great post and tribute to this grand dame of Los Angeles, Kimberly. I haven't been there since my youth, but it always represented style in old Los Angeles, that and the Ambassador, which is now gone. Thanks too for the photos. I'll have go back for a visit. Terrific post with beautiful photographs. Thank you for this 'panoramic peek' at a truly historic site as well as an artistic and architectural masterpiece. A must-see for the next trip to Los Angeles. Thank you all! 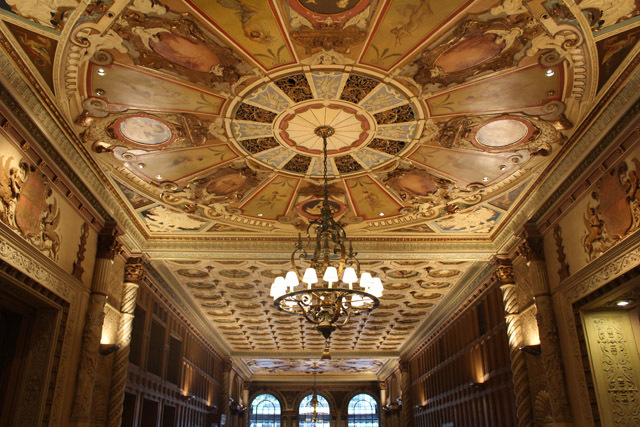 The Biltmore really is a spectacular place--my photos hardly do justice to being there--and is one of the places I love to mention whenever anyone (wrongly) claims that there's no history in LA. I hope you're all able to make a visit, or a repeat visit, soon!